Nearly 60 companies, including Google, Amazon, and Microsoft, will be on campus this week to recruit students and alumni at Northwestern’s largest engineering and technology career fair. The Society of Women Engineers (SWE) 29th annual Industry Day will take place from 4 to 9 p.m. on Thursday, October 20 at the Hilton Garden Inn in Evanston. 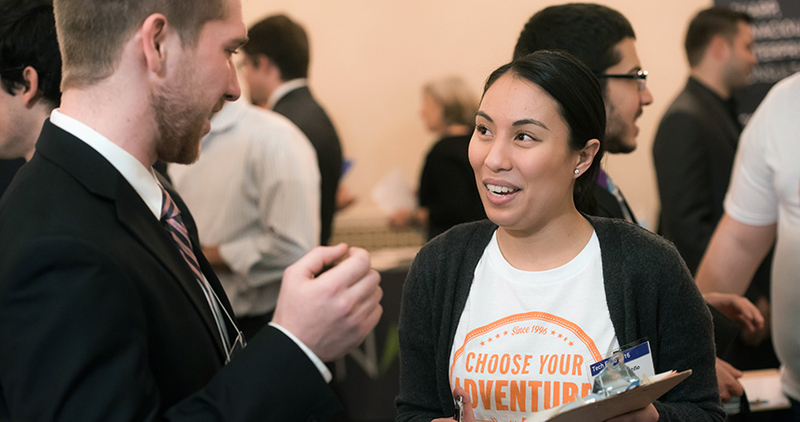 At the event, company representatives will meet with current students and alumni to find full-time employees as well as summer interns and co-ops. Open to all Northwestern students and alumni, SWE Industry Day does not require pre-registration. A WildCard, however, is required for entry, and business attire is strongly encouraged. View a full list of participating companies and organizations.